Sunday Brunch at Cana in Oakland started off a little uneasy. My BFF and I walked in for our 11am reservation and it was cold, and they wanted to give us a small table by the door, or sit somewhere that we would have to get up after a certain amount of time, so we decided to just sit at the bar. At this point I felt a little embarrassed because I invited her out, picked the restaurant and our experience started off wack. After taking our seats at the bar, we relaxed a little, got comfortable (FYI, I love that they have hooks for your purse at the bar), and looked over the menu. I was a little overwhelmed with all off the selections that they had for brunch! Everything looked so tasty and exciting. I had only had Cuban cuisine once, so I was excited for this treat! 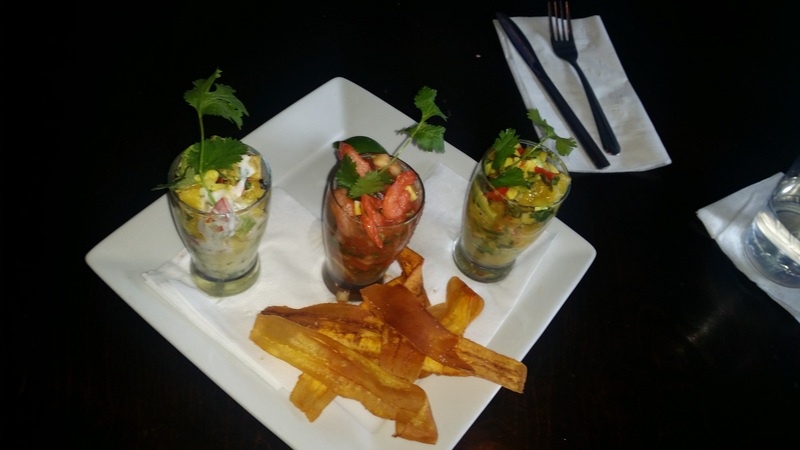 As I’m looking over the menu, I tried to find something that was point (Weight Watchers Term) friendly, I got excited for the Ceviche Trio, with Plantain Chips. We ordered the Ceviche Trio for our appetizer, and we both selected the American Choice Omelet for our entrée. The Ceviche was AMAZING, the flavors just danced on my taste buds. Each one having its own distinct flavor, yet all of them were good. This was my first time having ceviche made with halibut in addition to the traditional shrimp. They also used more than just lemon and lime for citrus, they used pineapple and orange citrus. We ordered the American Choice Omelet, but it definitely had a Cuban flair. I subbed the eggs for egg whites. 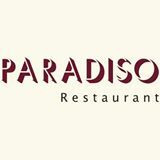 The service was interesting…… It started off with a take it or leave it attitude with the wack seats from the hostess, to a very helpful/service oriented attitude from all of the staff towards the end of our meal. Our waitress/bartender seemed a little overwhelmed, it was the beginning of the day, and she was putting things together, so she was very pushy for us to hurry up and order, and then was forgetful of our request. We would ask the other bartenders and even the hostess for certain items and they were very helpful and eager to assist us. We had hoped to stay for the music, but it had got packed by the time we finished eating and we were ready to go. Sitting at the bar, we were tempted to take advantage of their bottomless mimosas, but because juice and alcohol are not point friendly, I opted out, and my BFF wanted to be supportive of me, so she opted out as well. Note, during the week M – F, they charge all of the patrons a $2.00 minimum wage fee, because minimum was increased to $12.00 in the City of Oakland. On Sunday’s, there is no Minimum wage fee, but if you stay for the band (which is nice if you’re not there to socialize), they charge a $2.00 band fee. Overall, I would rate the experience a 3/5, customer service is really important to me and first impressions are important as well.